Let me take a wild guess and say that about half of the people who open this article to read are dads of young baseball players. And you have been kicking around the idea of having your son try switch hitting. Want some help? There were few switch hitters in the major leagues before 1950. But that all changed in 1951 when a kid out of Oklahoma caught everyone’s attention. He could hit for average, had power, speed, and was a switch hitter. His name was Mickey Mantle. He was the greatest switch hitter who ever lived. The Mick had a beautiful swing from both sides of the plate. The men in attendance at games were in awe of Mickey’s abilities, the women his looks, and hitters everywhere his switch hitting skills. The popularity of hitting from both sides of the plate took off and grew by leaps and bounds. 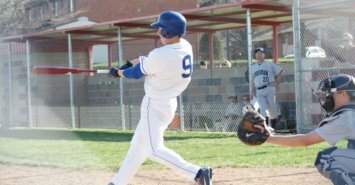 The biggest advantage to switching hitting is not seeing a curveball start at your head and then, when you duck out of the batter’s box, the baseball breaks over the plate. And, quite often, as you are bailing out you also get to hear the umpire yell strike three. As a switch hitter that curveball will start out over the plate and then in breaks in towards you. You get a much better look at a pitch that way. 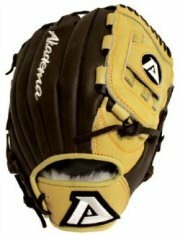 Another advantage is the distance to first base. If you are naturally a right handed batter, when you step over to the other side of the plate you are one step closer to first. Do you remember how many times you have been thrown out at first by inches? Well, from the left side you may just beat those throws. Some players in the big leagues get placed in a platoon system. They only play when the opposing pitcher throws from the opposite side that they bat. By being a switch hitter you eliminate that problem for the manager. Of course you need to be able to hit well from both sides. The biggest disadvantage in trying to hit from both sides of the plate is the amount of time and effort it takes. Some people believe the hardest thing to do in sports is hit a baseball. So why try to make it twice as hard? 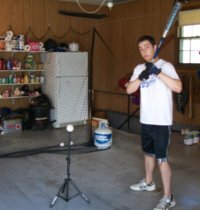 If you are a good hitter from your natural side, why not just keep improving that swing? Charlie Lau, a famous hitting instructor, did not believe in switch hitting. He felt his method of hitting eliminated the pitcher’s advantage in a righty vs. righty or lefty vs. lefty match up. Instead, he taught hitting the other way with breaking or outside pitches. There have been lots of switch hitters who had mediocre major league careers. Could they have been better players if they had only hit from one side? Or did switch hitting give them that one advantage to make it to the big leagues? Those are questions that could be debated late into the night. 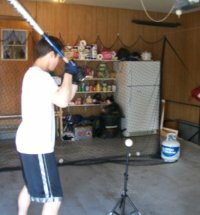 One thing that everyone does agree upon is if you decide you want to hit from both sides of the plate, or have your son give switch hitting a try, the earlier you get started the better. Waiting until you are a teenager or older will make the change that much harder. One of my sons eats and writes with his left hand and throws and bats with his right. When he was about ten his basketball coach told me that my son caught on to shooting left handed layups quicker than most kids he had coached. That got me to thinking about trying to making a switch hitter out of him. I spent one week that next spring working with him on switch hitting. When the week was over both my son and I agreed it was not for him. He was not ready to work twice as hard as before. And I knew better than to try and push any harder. 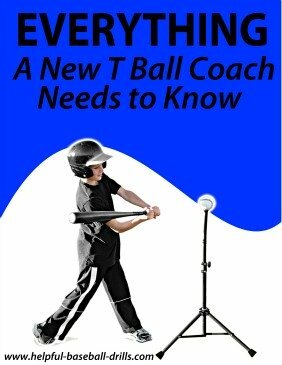 Five years later my youngest son starts playing for a new baseball coach at the age of twelve and the coach believes he should switch hit. They work on it hard one fall and in the winter I took over. We went to the batting cages two or three times a week. Come springtime the coach picked up where they had left off. Somehow he convinced my son to switch hit that summer. It was a struggle at the plate all summer for him. He got down, but he never quit. And then each summer after that it got a little better. Today he hits has well from the left side as he does the right. Switch hitting has always gotten my son a lot of attention at pro and college tryouts. He would be in the batting cages hitting away right handed and then the batting practice pitcher would say switch over. Every scout and coach would look up and then make a quick note. It did pay off. 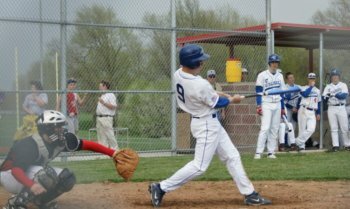 Just last month he accepted a baseball scholarship to a highly ranked junior college. But he knows that the hard work has just begun. He will have to hit twice as much as other hitters. Knowing now how much work is involved with switch hitting I’m not sure I would have encouraged it as much as I did. My son has 6.4 speed in the 60 yard dash, so it does make sense for him to hit from the left side. But I just wonder how good of a right handed hitter he would be with all that effort put into only one side of the plate. My son has spent six years of his life becoming a switch hitter. And his dad, who has been along for every bump in the road, cannot decide whether it was worth it or not. My only advice is if they look thirsty, lead them to the water and stand back. If they want to try it, they will have a drink.